This is a typical setup for the cleanbox. This includes an alcohol dip for the explant, bleach solution, and a sterile water rinse. 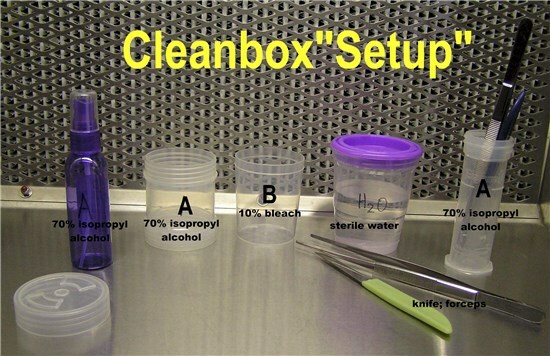 Also included in the cleanbox area is a container of 70% alcohol for instruments (forceps, knife)and a spray bottle of 70% alcohol. 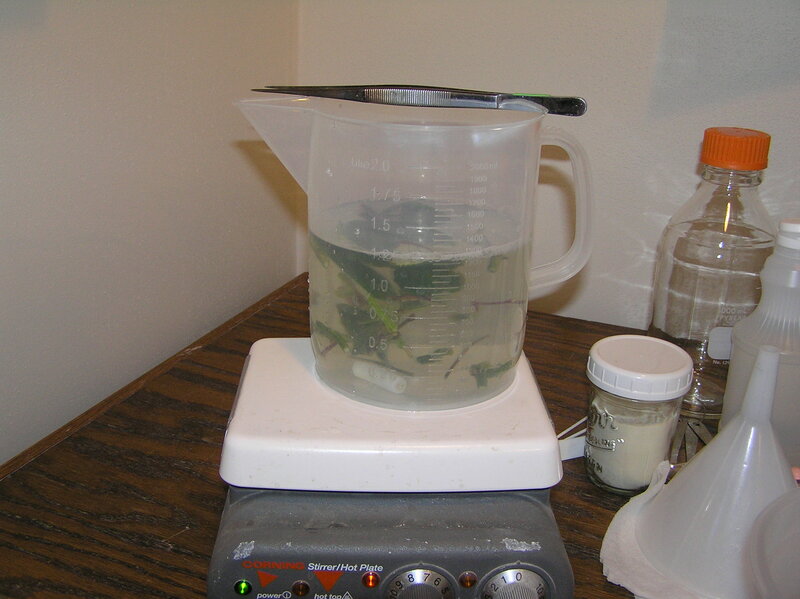 Here, plant pieces (explants) are soaking in a 10% bleach solution with a few drops of dish detergent. The container is sitting on a magnetic stir plate. Stirring the solution + plant pieces will enhance contact of the bleach with the plant and hopefully kill all microorganisms. A quart jar can be used to disinfect the plant pieces. A forceps or spoon can be used for stirring.